Like all living beings, plants also have natural defense mechanisms in the form of spikes, stings and thorns to protect themselves from animals. Some of the plants are as dangerous as snakes or spiders are, this is to deter animals from touching them. In fact, many deadly poisonous plants grow in our own yards or neighborhoods, so it is a good idea to know more about them. Below are the 10 most poisonous plants on earth. 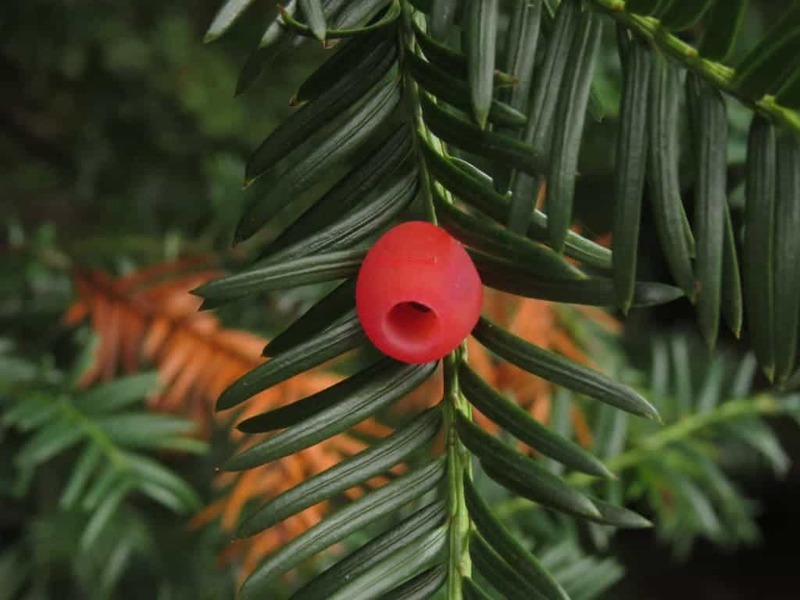 Looks are deceptive, so don’t get fooled by the juicy berries on English Yew tree. Native to Europe, North Africa and Southwest Asia, this tree has poisonous seeds encased in juicy red berries surrounding it. In fact, the berries are the only part of this tree that are safe to consume for birds. For humans, a mere 50 gram is enough to cause death. Symptoms include convulsions and muscle tremors that eventually lead to cardiac arrest. A discussion of poisonous plants is never complete without Hemlock. It originated in ancient Greece and was widely used for executing people. One of its most popular victim was the great Socrates who was given this plant’s poison as a death punishment. Hemlock’s poison, called coniine, causes a paralysis in the neuromuscular joints of the body. It begins from the leg and moves upwards until the respiratory muscles are affected, thereby causing death within a few minutes of ingestion. 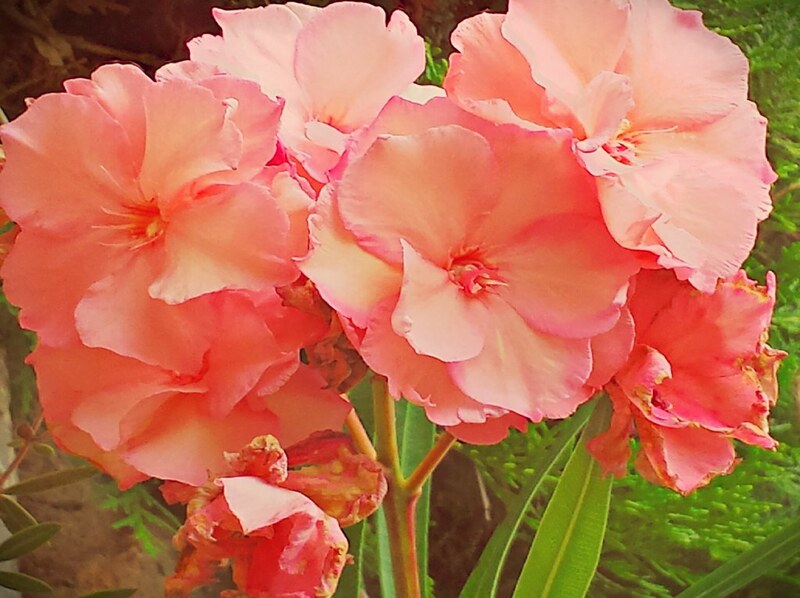 Oleander is a decorative plant native to Asia, but now spread throughout the Mediterranean and North America. Ingestion of any part of this plant causes bloody stools, vomiting and irregular heart beat. 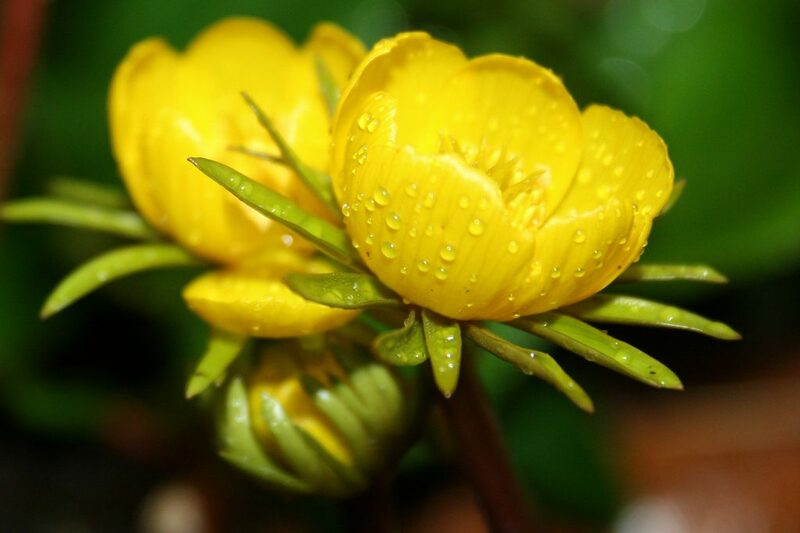 The entire plant contains a substance called cardiac glycosides that causes cardiac arrest immediately. Even if this plant is burnt for cooking, it releases toxins that can kill humans right away. Another deadly plant is the white Snakeroot that grows extensively in North America. Though this plant is used as a treatment for snake bites, its ingestion can cause immediate death in humans. It contains a substance called tremetol that causes vomiting, thirst, delirium and ultimately, death. In fact, drinking the milk or eating the meat of a cow that has eaten snakeroot can lead to death. It is widely believed that Abraham Lincoln’s mother died by drinking the milk of a cow that had eaten snakeroot plant. White Baneberry, also known as Doll’s Eye, is a flowering plant native to Eastern America. This plant gets its name from the fruit, that is white in color with a small black dot that looks like an eye. The entire plant is poisonous for humans, with its fruits being the most dangerous. Unfortunately, small children are drawn to this tree because the fruit looks like a doll and tastes sweet. However, its consumption sedates the cardiac muscles right away, causing immediate death. The Strychnine tree, also known as the suicide tree, is native to India and the tropics of Southeast Asia. 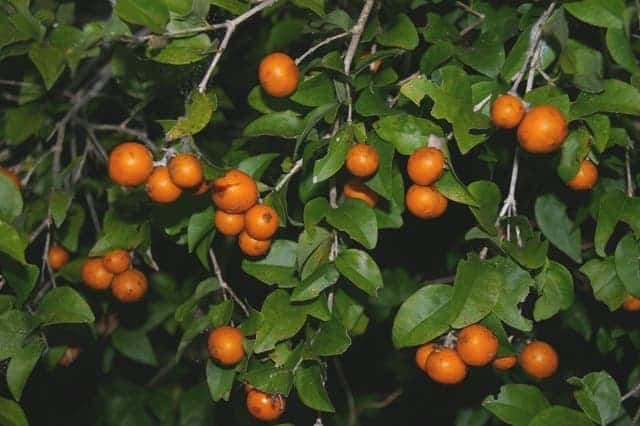 The most dangerous part of this tree is the seed present inside the fruit, as it contains alkaloids that can disrupt the heart’s rhythm within hours of consumption. It will also be accompanied by convulsions and stimulation of sensory ganglia in the spine, thereby making it a painful death for adults. Manchineel is a toxic tree found in the coastal areas of Florida. Any form of contact with its milk sap can cause blisters on the skin while ingesting the fruit is lethal. This is why Manchineel is the most poisonous tree in the southeastern part of the US. Even standing under this tree during rain can cause blisters as the sap is likely to get mixed with raindrops. Aconite is probably the most poisonous plant in Europe, as the entire plant is toxic. It was used in ancient Greece to tip arrows while hunting. Even an incidental brush can cause severe symptoms while ingestion is often fatal. However, the plant looks beautiful with its droopy blue flowers, so it is no wonder it is known by many names such as devil’s helmet and monkshed. Known by different names, Abrus Precatorius is one of the most deadly plants known to man. Native to Indonesia, this plant’s seeds are of a bright red color with a black dot at the top. It contains a substance called abrin that inhibits the body function at the cellular level, thereby making it difficult for humans to perform molecular activities such as synthesizing proteins. In fact, a single seed is lethal enough to kill a person. 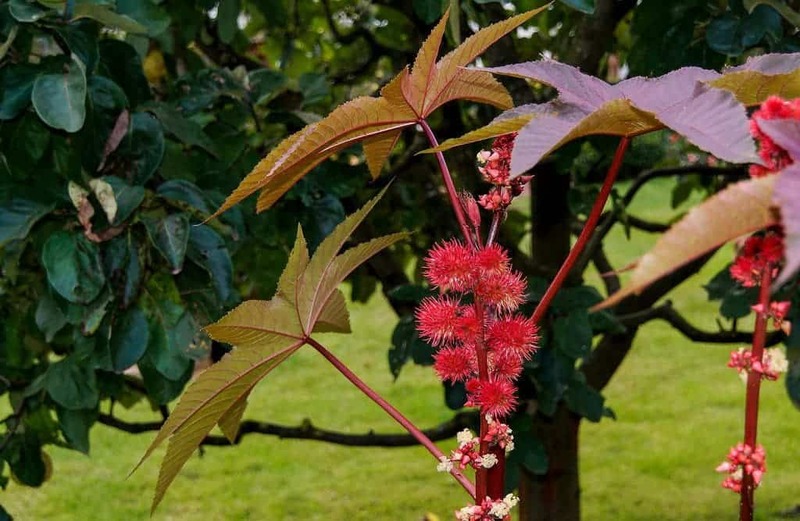 One of the deadliest plant is the castor oil plant as its seed contains a substance called ricin. Surprisingly, the same seeds are used to make castor oil that is used as a laxative and contains vitamins A and D. However, consuming the seeds directly releases ricin that is lethal for humans. 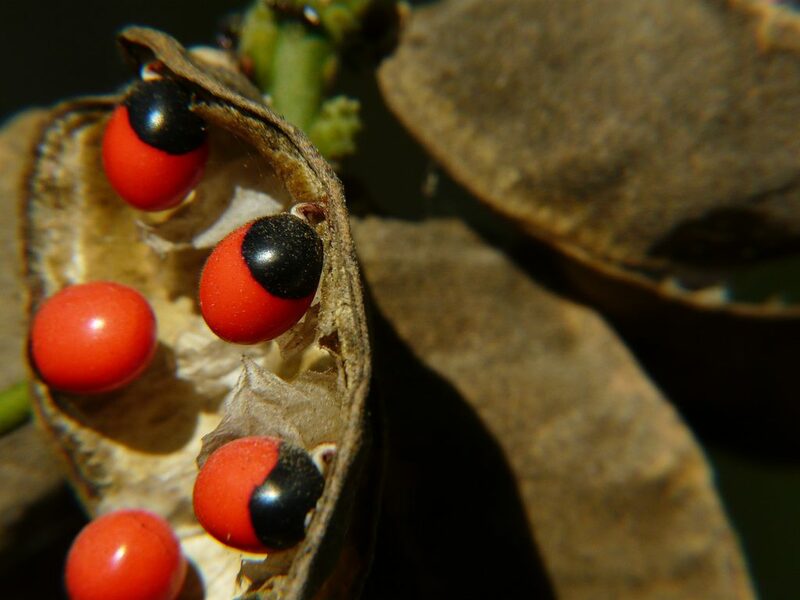 In fact, about four seeds are believed to be enough to kill a healthy adult. In short, not all plants are docile. Watch out for these poisonous plants and make sure to stay away from them!